Preparing your home landscape for fall reminds us all that the growing season has come to an end. Our beloved flowers, shrubs and trees need the best possible situation to survive through the freezing, thawing and cold of winter. Winter taxes plants, especially those that haven't had good care throughout the growing season. Winterizing shrubs should be a regular part of your autumn landscape maintenance. Evaluate how much rain your area receives during the fall period. A shrub's roots continue to grow through the fall months, despite dropping leaves. This growth continues until the ground freezes. Water near the base of your shrubs during dry periods. 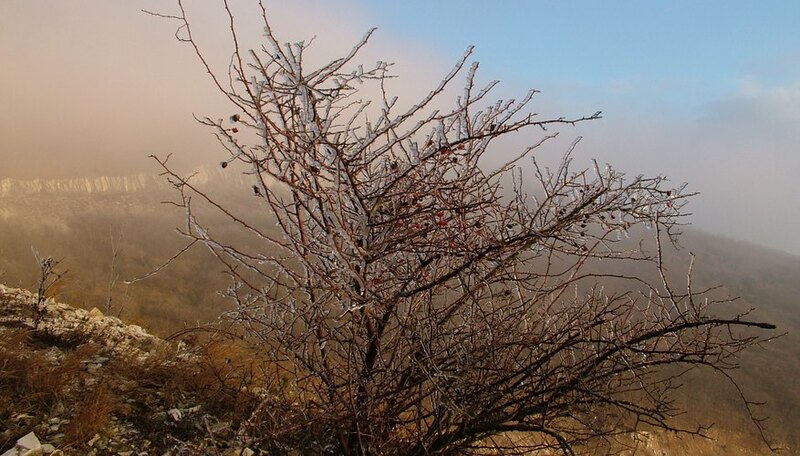 Shrubs rely on moisture stores throughout the winter to keep their roots healthy. Rake leaves out of gardens containing shrubs to prevent mold buildup and disease. Removing whole leaves from the garden also discourages small rodents from nesting near shrubs and subsequently chewing on bare branches for winter food. Clip off dead branches as close as possible to the parent (main) stem of the plant. Make a 45-degree cut to limit healing time of the wound. Use pruning loppers for branches larger than 3/4 inch. Pruning clippers work fine for smaller branches. Do not simply give the shrub a haircut when you notice longer branches sticking out of the plant. These errant branches indicate that the shrub requires thinning to control growth and for the health of the plant. Choose branches that distort the natural shape of the plant and prune them flush with the parent stem at a 45-degree angle. Space out branch removal evenly around the entire shrub. Avoid cutting back a branch to even it up with the remainder of the branches. This clipping back simply causes the plant to focus regrowth at that point. The result is a burst of growth that distorts the plant's shape the following year. Prune as close to the main trunk as possible and avoid creating wild growth at that point on the shrub. Loosely apply a 2- to 3-inch layer of shredded mulch to the garden around the shrub. A mulch layer keeps temperatures more uniform during the cold winter months. Leave about 3 to 4 inches free of mulch around the trunk of the bush to prevent suffocation of the plant.